Police have put up metal detectors at a popular gathering spot for football fans in central Moscow. Nikolskaya Ulitsa, a pedestrian street stretching from the Red Square to the former KGB headquarters, has become the de facto 24-hour party area during the World Cup. But the non-stop celebration is also a place of heightened risk for harassment at night. 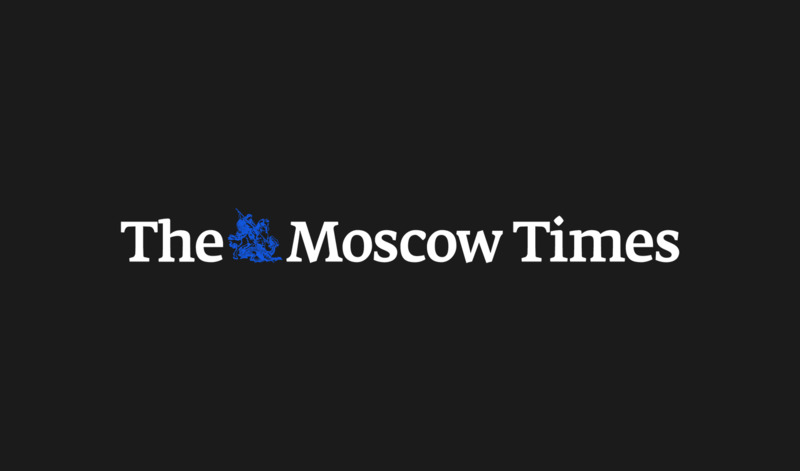 Moscow authorities have placed metal detectors at Nikolskaya as a security precaution until the cup wraps up on July 15, a senior Moscow City Hall security official said Thursday. “We’re taking a number of measures in connection with the mass gathering of people on the street,” Vladimir Chernikov, Moscow City Hall’s head of Regional Security and Anti-Corruption Activities told the Govorit Moskva radio station. 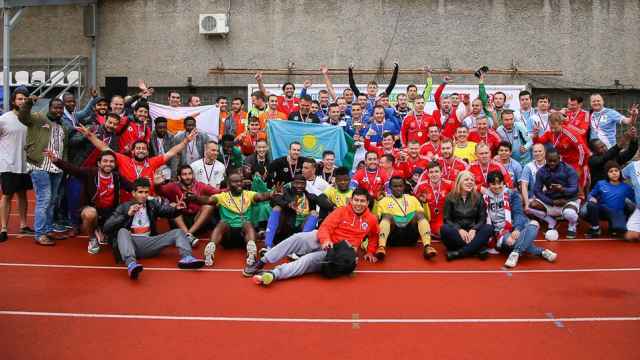 The move comes amid bomb threats in two World Cup host cities – Rostov-on-Don and Samara – that forced hurried evacuations. Both threats were found to be false. Russian campaigners with the Open Russia pro-democracy movement also staged a covert protest on Nikolskaya this week, calling on the Kremlin to release the hunger-striking Ukrainian filmmaker Oleg Sentsov. Photographs on social media showed fans posing next to a 1.5 meter mock-up of a World Cup trophy bound in barbed wire and carrying the slogan #FreeSentsov. 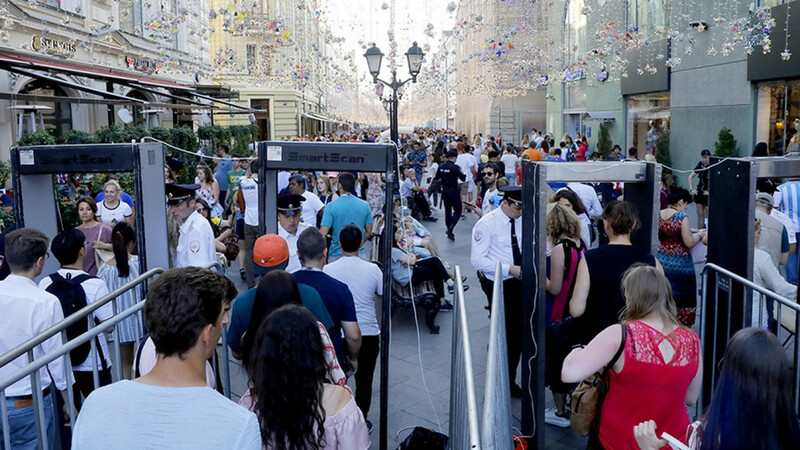 Even with the metal detectors, Moscow officials made assurances that fans will still be able to access the party street. Authorities “do not plan to block Nikolskaya,” Chernikov’s spokeswoman Yelena Romanova told the RBC business portal.